The knish was brought over to America in the early 1900's by Eastern European immigrants. Potato was the main filling and they utilized a simple pastry shell. 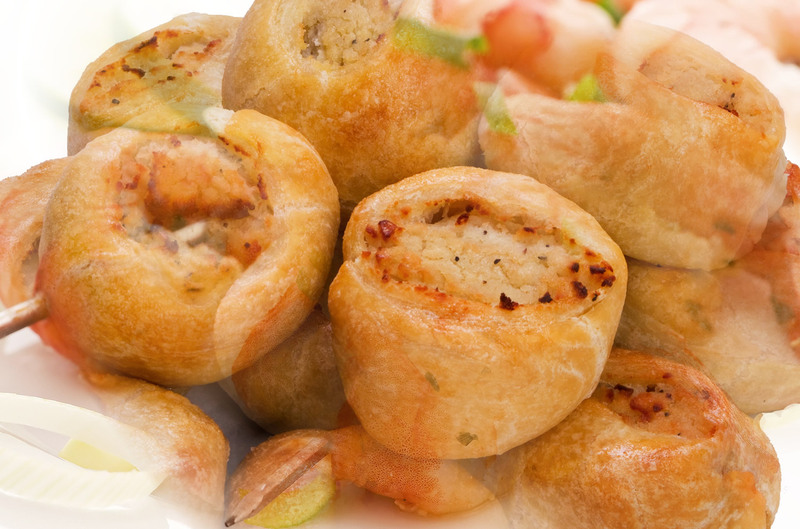 Based on an old family recipe, the Wachtler Family founded Brooklyn Knish, Inc. in 2008. Bonnie Wachtler took her old family recipe and started applying new and different fillings to bring to the market one of the most delicious comfort foods you can experience. All of Brooklyn Knish products are baked fresh and contain no preservatives or additives. We now make over twenty varieties, and we are constantly trying out new filling ideas (suggestions are welcome). 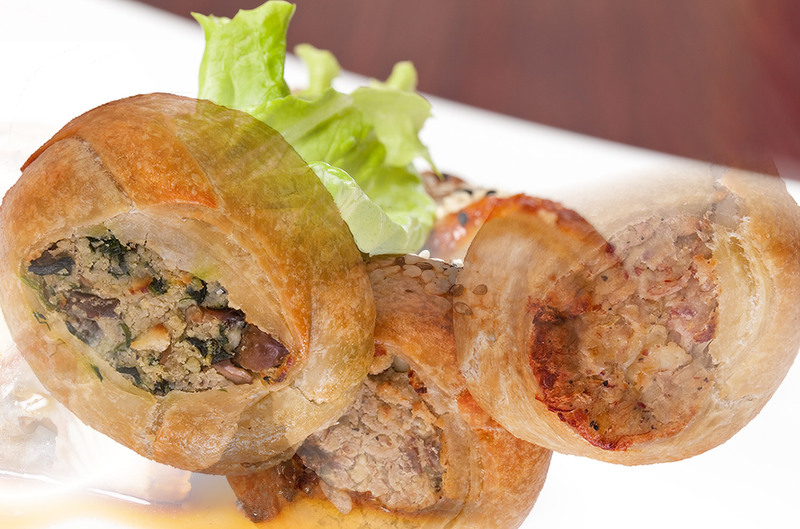 Our knish can be eaten cold, room temperature, warmed in a microwave, or heated in an oven. They can be refrigerated or frozen for later uses. 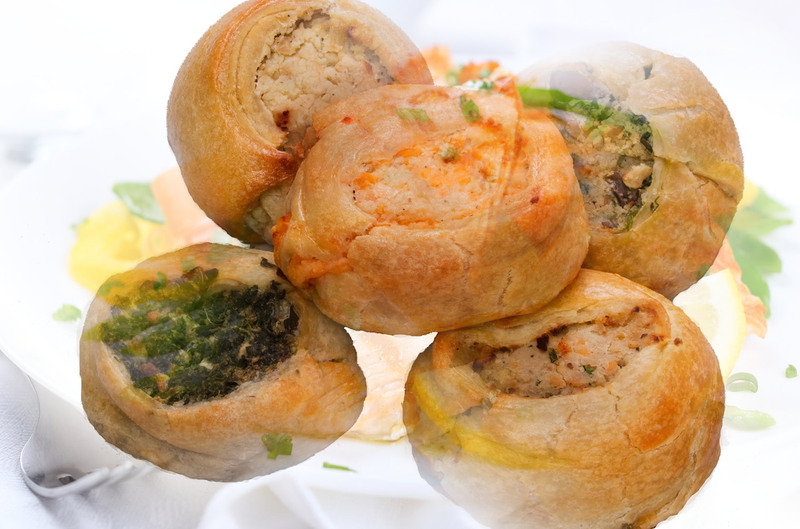 Brooklyn Knish is available for parties, as appetizers (one or two bites) or our regular size. Bite into one of our delicious knishes and you'll see why we say "Warm Memories on the side." We have two different sizes of our Knishes our Regular 6oz. Knish and our two bite "Mini"
All of Brooklyn Knish products are baked fresh and contain no preservatives or additives. Chunky mashed potato, with caramelized onions, salt & pepper. Whole grain buckwheat that is cooked to the consistency of rice with caramelized onions & vegetable broth, salt & pepper. Our Classic potato mix with aged cheddar added. Chopped Broccoli, aged cheddar and our classic potato mix. Freshly chopped jalapeno peppers added to our classic potato mix with aged cheddar cheese. Spinach, artichoke hearts, grated parmesan cheese, with chopped green onions, egg and salt & pepper. Freshly sliced & sautéed mushrooms & spinach added to our classic potato mix with salt, pepper & a dash of nutmeg. Spinach, caramelized onions, feta cheese, egg, salt & pepper. Sauteed sweet potatoes, with fresh garlic & Ginger, swiss chard, black beans, garam masala spice, vegetable broth & jasmine rice. Our classic potato mix with aged cheddar, scrambled egg, and either plain, with bacon, or with sausage. Our own cured corned beef, chopped and added to our classic potato mix, with shredded swiss cheese & sauerkraut. Bacon, cheddar cheese, sour cream, chives in our classic potato mix. Cubed baked ham, shredded swiss added to our classic potato mix. Italian sweet sausage, roasted with tri colored peppers, onions, garlic & basil then added to our classic potato mix. Sautéed chicken with red curry paste, freshly chopped red Thai peppers, coconut milk, freshly chopped garlic, ginger, & cilantro, salt, mixed into Jasmine Rice. Nathans Best chopped into our classic potato mix. Roasted chicken, tarragon chicken gravy with peas & carrots, added to our classic potato mix. Ground Beef, taco seasoning, salsa, refried beans, aged cheddar cheese, white rice. Fresh Cherries with a sweet ricotta & cream cheese filling. A mix of Chopped Granny Smith Apples, cinnamon, sugar & walnuts. We know that you are concerned about privacy and the security of your personal information. It is our policy to respect the privacy of each customer, and to protect their information. To that end, we restrict access to your information to authorized personnel and apply numerous security measures to ensure that your information is not used by unauthorized persons or for improper purposes. This information can include your name, address, telephone number, email address, as required to make sure we can service your request, answer your questions or keep you up to date regarding past and upcoming events. We don't share your personal information with any third party at any time. On occasion we may be required to provide personal information about you to law enforcement or other governmental and regulatory officials. We may be required to disclose information in response to court orders or legal investigations.